On April 27, Pope John XXIII (Pope from 1958 to 1963) will become St. John XXIII, alongside Pope John Paul II, who will become St. John Paul II. But who was John really, and what was his greatest triumph? This is the extended version of the same article that was published in the April 2014 issue of Inside the Vatican magazine. To read the version of this article that was published in print, click here. A scene of Jews in Greece being deported. There was, in fact, a second miracle that occurred during John’s papacy. That miracle was his decision to completely reframe the relationship between Cath­olics and Jews. Called “the good Pope,” the relationship between John and the Jews is an incredible story of the triumph of truth and justice that needs to be told and remembered. Angelo Giuseppe Roncalli was born on November 25, 1881. In later life he was to recall, “I come from a poor family.” His father, John, was a tenant farmer in Sotto Il Monte, a small village in the foothills of the Italian Alps. “Angelino,” as he was called, was the third of 13 children. At the age of 12 he went on to high school. From there he went on to Lateran University in Rome to complete his college studies. On August 10, 1904, he was ordained a priest at the Church of Santa Maria in Monte Santo, a suburb of Rome. The next day he celebrated his first Mass in St. Peter’s Basilica. On December 10, 1920, he was named by Pope Benedict XV as director of the Institution for the Propagation of the Faith. In 1925, he was consecrated a bishop and was sent with the title Apostolic Visitor to Bulgaria. In 1935, he was transferred from Sofia to Ankara as Apostolic Vicar and Delegate to Turkey. He also served as Apostolic delegate to Greece. During the tragic years of what we now know as the Holocaust, Roncalli rose to heroic heights. It is particularly fitting that he will be proclaimed a Saint on Yom Ha Shoah, the day of Holocaust remembrance established on a fixed date each year by the State of Israel. In 1966, the journalist Arthur Morse wrote about those events. “When Barlas told Monsignor Roncalli of the impatient German demand for the destruction of the Jews in Sofia, the priest reacted with horror and indignation. He had served as Apostolic Delegate to Bulgaria and had developed a warm friendship with King Boris and the Queen. Now he assured Barlas that he would take im­mediate action, and began writing a message while Barlas was still in his presence. Later, Roncalli wrote to Barlas confirming that his message had been delivered.” Morse continued his account saying, “Barlas, who now lives in Israel, does not know the details of Roncalli’s intervention, but new information has been provided by Luigi Bresciani, a confidential servant to Roncalli in both Bulgaria and Turkey. Bresciani, today a sculptor in Bergamo, Italy, recalls the Monsignor’s agitation after the Barlas visit: ‘When Monsignor Roncalli found out about this, he wrote immediately a personal letter to King Boris. I had never before seen Monsignor Roncalli so disturbed. Before I carried this missive to a certain person able to put it personally into the hands of King Boris, Monsignor Roncalli read it to me. Even though calm and gentle as a Saint Francis de Sales come to life, he did not spare himself from saying openly that King Boris should on no account agree to that dishonorable action… threatening him among other things with the punishment of God.” The observation by Morse concluded, “Monsignor Roncalli’s intervention came soon after the Jews of Sofia had been dispersed in the Bulgarian countryside, where they remained unharmed. King Boris died under mysterious circumstances in August 1943 and the safety of the Jews once again was in jeopardy. However, revocation of the anti-Semitic legislation one year later assuaged these fears.” Tragically, exactly one year later, at the end of August 1944, following the revolt that broke out in Slovakia, the Germans occupied the country and deported all of the remaining Jews to their death. Pope Pius XII with the American cardinal Spellman. On June 26, 1944, President Franklin D. Roosevelt, in a sharp note forwarded through the Swiss legation in Budapest, called upon the Hungarian government to cease deportations of Jews at once, threatening reprisals if his pleas were ignored. But Roos­e­velt’s note was ignored. The German statesman Franz Von Papen. When Ira Hirschmann, a special emissary for the United States War Refugee Board, met with Roncalli in 1944, he told him of the plight of several thousand Jews, including a number of children, slated for deportation to Auschwitz and certain death. Instantly, Hirschmann recalled, Roncalli made available thousands of “baptismal certificates without conditions.” The distribution of these certificates was later named “Operation Baptism.” Roncalli made clear that this action to save Jews did not make a single Jew a Catholic. Roncalli was simply moved to take immediate action to save the lives of Jews. Arthur Morse, stated in an interview after his book was published in 1966, that the action taken by Roncalli resulted in the rescue of at least 50,000 Jews in Hungary. His colleague Richard Cardinal Cushing was to remember that Cardinal Roncalli “was able to use his diplomatic skills to help countless Jewish refugees escape the Nazis and seek safe haven in Palestine.” Johannes Cardinal Willebrands explained years later that “as apostolic delegate to Turkey and Bulgaria, he was able to grasp the real meaning of the ‘transportation to the east’ of the Jews, and personally did everything in his power to save Jewish lives.” John never forgot what he witnessed during those tragic years. With the end of the war, Roncalli continued in his labor for the Church. On January 12, 1953 he was elevated by Pope Pius XII to Cardinal and was named Patriarch of Venice. On October 9, 1958 Pope Pius died. On Saturday afternoon October 25, 1958, 51 Cardinals began their 78th conclave to elect a new Pope. In the words of one distinguished scholar of the papacy, “brief it would be indeed, but momentous.” Cardinal Roncalli’s formal coronation as Pope John XXIII, or as it is known today, the solemn ceremony of the inauguration of his pontificate, took place on November 4, 1958. An image from the Second Vatican Council (1962-65). Pope John was determined to address the issues surrounding the relationship between the Catholics and Jews. Early in his pontificate, John was being driven through the streets of Rome. He suddenly instructed his driver to stop the car in front of the main synagogue. It was Saturday, the Sabbath of the Jews. John had his car stopped so that he could bless the Jews of Rome as they were leaving Sabbath worship. On January 25, 1959 John issued his call for the Second Vatican Council. On September 18, 1960, he charged the Commissions and the Secretariat to prepare for the Vatican Council a declaration on the attitude of the Church towards the Jews. In preparation for that charge, John began a series of steps that opened the way for truly dramatic changes in the relationship between the Church and the Jews. It may have been the force of habit, or perhaps it was forgetfulness, but in April 1963, the bishop who celebrated the Good Friday liturgy in Rome’s St. Peter’s Basilica recited the old text, “pro perfidies Judaeis.” Pope John quietly halted the service and had the celebrant start from the beginning of the intercessory prayers. In September 1959, Pope John addressed liturgical points that he viewed as contributing to negative feelings about Jews. A Catholic ritual of baptism contained the following formula of abjuration: “Abhor Jewish unbelief (in Christ) and reject the Hebrew error (that the Messiah has not yet come).” The Pope ordered that those words be purged from the Baptismal prayer. Yet another moment of tremendous importance took place in October 1960. A United Jewish Appeal group consisting of more than 100 was received by Pope John at the Vatican. The group, traveling through Europe and Israel, stopped in Rome. Greeting the group with outstretched arms he embraced them with the words, “We are all sons of the Same Heavenly Father. Among us there must ever be the brightness of love and its practice. I am Joseph your brother.” The words uttered by Pope John conveyed the great warmth and sympathy that he held for the Jewish people. John XXIII with his personal secretary, Loris Capovilla. In 1961, Pope John began the process of moving the Church toward addressing the issues surrounding the Holocaust. The German bishops met in June under the leadership of Joseph Cardinal Frings, Archbishop of Cologne from 1942 to 1965. He served as the Chairman of the German Bishops from 1945 to 1965. Frings was described as “a fierce opponent of Hitler and Nazism.” He de­nounced the destruction of the Jews as “himmelschreiendes Unrecht” (a crime that cries out to heaven). With John’s full cooperation and participation, a prayer was prepared to be said by German Catholics. For the first time both the murder of the Jews, as well as those who were their persecutors, would be publicly acknowledged. Pope John felt a special connection to the Land of Israel. He visited the Holy Land twice. The first time was September 19 to October 22, 1906. He traveled with his superior, Bishop Radini-Tedeschi. 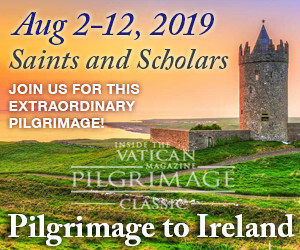 Serving as the Bishop’s secretary for 10 years, he became known as the “Bishop’s shadow.” The trip, the Third Italian National Pilgrimage to the Holy Land, was led by Bishop Radini. During that memorable trip, Roncalli wrote a series of articles for the newspaper L’Eco di Bergamo. His account of his visit to the Sea of Galilee, which occurred at the beginning of October, early in the morning, was very special. He wrote this moving depiction in his dispatch to the newspaper: “…I shall never forget the en­chantment, the heart’s ease, and the spiritual flavor I discovered this morning floating upon these waters. Little by little, as our small boat stood out into the lake, the first light of dawn gave color to the water, the houses and the surrounding hills. We did not speak, but our hearts were stirred. It was as though we could see Jesus crossing the lake in Peter’s boat. Jesus was before us and we could see him: unworthy though we were we sailed toward him on the water, and our prayers were silent, but spontaneous and eloquent… As we touched the shore the sun appeared.” It was an unforgettable moment in the life of the man who was to become Pope. Even as the clouds of war were beginning to gather in Europe, John traveled to the Holy Land for a second time in 1939. He went first to Beirut, arriving on June 1. There he attended the Eucharistic Congress presided over by Cardinal Eugene Tisserant. From Beirut he traveled to Jerusalem, Jaffa, Homs and Aleppo. His visit was brief, lasting from June 7 to 10. In a discussion with Maurice Fisher, a member of the Israeli diplomatic corps, Pope John expressed his sentiments clearly. “If I were permitted to listen to my heart, I would recognize the State of Israel here and now.” On March 27, 1963, Rabbi Abraham Joshua Heschel and Rabbi Marc Tanenbaum, both leaders in the dialogue between Catholics and Jews, met with Cardinal Bea in Boston. They were joined by Cardinal Willebrands and Father Schmidt, two close associates in the budding ecumenical movement. Bea was very cautious and expressed the hope that the meeting with the group would remain confidential lest the “bitter enemies of the Jews in Rome” use it against their efforts. Bea stunned his guests by asking a question; what would they think it the Vatican recognized the State of Israel? The surprised Rabbis responded that Jews all around the world would be thrilled at such a move. The death of John three months later was to put that hope on hold for another 30 years. Vatican recognition was finally granted in 1993. Cardinal Bea offered these insights into the complexities that he confronted. “The subsequent history of the Declaration was notable because of great difficulties, not all of which were theological, for some were partly due to the unhappy political circumstances of our time. It was these very difficulties which made it essential for the document to be a very carefully balanced statement. They also served, bit by bit, to give it the greater breadth it now has as a result of its extension to include the attitude of the Church toward non-Christian religions in general and to place the Jewish problem in the wider context. The first of these difficulties arose in June 1962 when the first schema, dealing only with the Jews and hammered out by the secretariat in the course of many long sessions, was included in the agenda of the Central Preparatory Commission of the Council. Unfortunately, at this precise moment, news came through that certain Jewish organizations were to be represented in Rome in connection with the Ecumenical Council and this produced some vociferous protests on the part of the Arabs. It was, therefore, considered prudent to allay anxiety by removing the schema on the Jews from the agenda of the Council. At this stage, the President of the Secretariat again approached Pope John XXIII who sent to the Council a personal note which included the following comment: ‘Having carefully examined Cardinal Bea’s report, we unreservedly associate ourselves with the burden and responsibility of a concern which we must make our own.’” Bea added a notation that the note from Pope John was dated December 13, 1962. Pope John received Jules Isaac in an audience on June 13, 1960. The audience had also been suggested by the French Em­bassy at the Holy See. We wanted to give the audience a special quality, but Pope John changed it to a private one. 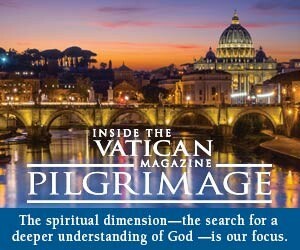 I do not think that the Osservatore Romano published the event. I remember well that the Pope was exceedingly impressed by that encounter and spoke about it to me at length. He told me that he would speak to Cardinal Tardini and to Msgr. Dell Acqua in particular. Even to me he said that he had directed Isaac to Cardinal Bea in whom he had much trust and in whom he could confide. It is possible that Cardinal Tardini’s notes preserve segments of the meeting and of the conversation with Pope John. And it is true that up to that day it had not entered John’s mind that the Council should also take up the Hebrew and anti-Semitism question. But from that day on, he was engrossed in this problem. We have to exonerate the Church from the accusation of having kept itself apart and of having only defended the baptized Jews (as it seems Isaac insisted). And to proclaim once and for all that Christians do not have the right to as a key condemnation ‘sanguis eius soper nos’… That is all that I remember. On November 28, 1965 a vote was taken on the proposed declaration Nostra Aetate by the delegates assembled at the Council. Two key points were made in the Declaration adopted by the Council: (1) What happened in His (Christ’s) passion cannot be charged against all Jews, without distinction, then alive, nor against Jews today; (2) Although the Church is the new people of God, the Jews should not be represented as rejected by God or accursed, as if this followed from the Holy Scriptures. Angelo Roncalli as nuncio in France in the late 1940s. Pope John became ill in 1963. On his deathbed John said: “I give my life for the Council, for the Church and peace.” He died on June 3, l963 at 7:49 p.m. On the night of his death, the Chief Rabbi of Rome, Elias Toaff, and other members of the Jewish community gathered with hundreds of thousands of Catholics in St. Peter’s square to mourn the loss of John. Time Magazine correspondent Robert Blair Kaiser, who covered Pope John’s pontificate, revealed some of his insights about John and the significance of his life and death appeared on June 12, 1963. AS HE LAY DYING ON THE LAST DAY OF MAY, 1963, ANGELO GIUSEPPE RONCALLI, THE 262ND POPE OF ROME, RECEIVED HIS ROMAN CARDINALS… IT WAS AS IF HE WERE GOING ON A JOURNEY AND WOULD NOT SEE HIS FRIENDS AND ASSOCIATES FOR A WHILE… HE CALLED FOR VIATICUM (LAST HOLY COMMUNION MEANS CHRIST WITH YOU ON THE WAY — A VIA TECUM) AND SOON HE WAS OFF. BUT NOT BEFORE HE TOLD MANY HE WAS OFFERING HIS LIFE FOR A GOOD OUTCOME OF THE ECUMENICAL COUNCIL AND FOR PEACE AMONG MEN, WHICH WAS, IN EFFECT, HIS DYING WISH. TO THE LAST HE WAS QUIETLY INSISTENT ON HIS BASIC VISION. INTUITIVE, NOT ALWAYS WELL EX­PRESSED, PERVERTED SOMETIMES BY THOSE AROUND HIM, IT CAME ACROSS NEVERTHELESS IN THE SECOND VATICAN ECUMENICAL COUNCIL AND IN THE HOPEFUL LOVE FOR ALL MEN OF GOODWILL THAT WAS EXPRESSED IN PACEM IN TERRIS. WITH NO AMBIGUITY NOW AT THE END, WITH THE LUCIDITY OF A DYING MAN, HE REPEATED AND REPEATED HIS WISH, THAT THE GREAT WORK WOULD BE CROWNED WITH SUCCESS. The people of Israel understood that a great friend had passed from the scene. The death of Pope John did not end the story of his relationship with the Jews. Who was “F. E. Cartus”? Monsignor John Osterreicher identified him as Father Malachi Martin, S.J. In an article that appeared in the Seattle Catholic in July 2002, his biographer William H. Kenney states: “As a Jesuit, Martin received three earned doctorates in Semitic languages, archeology, and oriental History and was subsequently made a Professor of Semitic Languages at the Pontifical Biblical Institute in Rome. Ordained in 1954, Martin was a top level advisor to Popes John XXIII and Paul VI as well as working closely with Cardinal Bea…During the Second Vatican Council; Martin drafted the document which exonerated the Jews from culpability in the execution of Jesus Christ, for which he received universal approval from the Council and international accolades.” Martin wrote the book Three Popes and the Cardinals (1972) about his experiences with Pius XII, John XXIII, Paul VI and Cardinal Bea. It is important to note that many scholars, and Vatican observers, have questioned Martin’s role as a reliable authority on the events surrounding Vatican II. None the less, his writings and observations have had, and continue to have, a considerable impact on subsequent analysis of those important moments in history. Over the years, the prayer has been cited by such scholars and writers as Father Robert Drinan, Rabbi Arthur Gilbert, Simon Wiesenthal, Pinchas Lapide and Dr. Dagobert D. Runes. Despite the frequency with which this prayer has been spoken and cited, there are grave doubts about its authenticity. Before proceeding with the analysis of the authenticity of the Prayer of Repentance, it is necessary to note that there is another prayer, attributed to another saint that has been proven not to have been authentic. The opening lines of The Prayer of Saint Francis of Assisi are familiar to all. “Lord, make me an instrument of thy peace.” It is now clear that St. Francis did not compose the prayer. The prayer first appeared in a French magazine La Clechette (The Little Bell) in 1912. The magazine was published by La Ligue de las Sainte-Messe (The Holy Mass League). The prayer first became very popular when it was published in L’Osservatore Romano in 1916. It ap­peared in the midst of World War I at the express wish of Pope Benedict XV. The association with St. Francis began when the prayer was reprinted on the back of a card that bore the portrait of St. Francis. The text first appeared in the United States in 1927 when it was published in the Quaker magazine Friends. Still, it does not matter that St. Francis is not the true author of the prayer. The words of the prayer are now indelibly and irrevocably associated with him. In an email sent to me on May 7, 2006, Robert Blair Kaiser offered his conclusions about the authenticity of the prayer. Still, the prayer continues to be a subject of much discussion and debate. On Sunday, December 21, 2008, the Vatican felt compelled to respond to an article by Orazio la Rocca that appeared in La Repubblica on Saturday, December 20. Father Federico Lombardi, S.J., the director of Vatican Radio, issued a statement saying that Pope John was not the author of the prayer. Although he said the claim of his authorship was unfounded, Lombardi went on to say that the prayer did reflect some of John’s known sentiments. He went on to conclude that John felt “respect and love for the Jewish people” throughout his life, but “historical truth is more than sufficient” than to embrace a fiction. What is the truth about the Prayer of Repentance? Is it authentic or not? My own conclusion is that, if Pope John did not compose the prayer, I believe that this great and good Pope still would have embraced this prayer. John Rothmann is a radio talk show host in San Francisco, California, and a foreign policy consultant specializing in the United States, the Middle East and the former Soviet Union. Rothmann, who is Jewish, has long admired Pope John XXIII and the work he did to heal the relationship between Catholics and Jews.